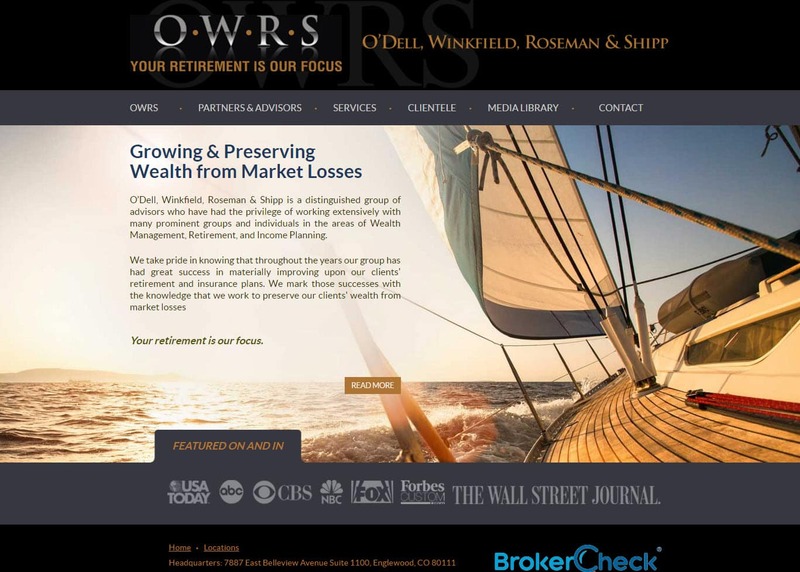 Web design for financial consultants Englewood CO | VISIONEFX crafted the financial services website design to help grow the client base of the OWRS Team. VISIONEFX designs ‘wow-factor websites’ for a variety of financial sectors to include; financial consulting website and or financial planning websites. OWRS has offices in Englewood, CO, Rockville, MD, Charlotte, NC and Glen Allen, VA. When searching financial planning websites Englewood CO look no further than the web design experts at VISIONEFX. VISIONEFX, a Web design company based in Virginia Beach, VA provides services to national companies as well as small to medium businesses throughout the United States to include; custom web design, web development, E-commerce web design, Word Press web design, Joomla web development, SEO and web maintenance services. Call: (757) 619-6456 or info@visionefx.net. VISIONEFX also has received excellent Google reviews posted on Google My Business pages.